Perhaps, you have a WordPress website and you’re getting skilled day by day with the different types of customization of WordPress. Such as the most familiar part of WordPress you use every time while you’re creating a content is the built-in Visual Editor ( WYSIWYG editor). As you see, it already comes with some basic formatting and style options. But, if it happens like that you need some custom styles of your own to add some useful buttons, content blocks, taglines, etc. Then, you’ve different options available to easily do that. 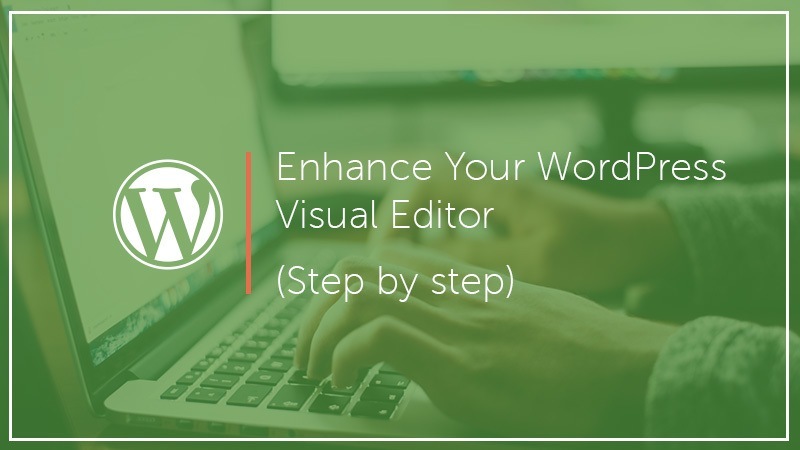 That’s why this article, and here I’m going to show you one of the easiest ways to enhance your WordPress Visual Editor. So, stick your eyes here and get enhanced! Do You Really Need to Enhance Your Built-in WordPress Visual Editor? I’m asking this because the importance of enhancing your WordPress Visual Editor depends on your demand! In the default WordPress editor, you can always switch from visual to the text editor and add custom HTML and CSS as you want. But, if you regularly use some custom styles, then it would be best I think to add them to the visual editor so that you can easily reuse them when you need. Apparently, this will save you time spent on switching back and forth between text and visual editor. 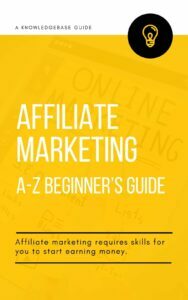 As well as, it also allows you to consistently use the same styles throughout your website. And, most importantly, it’ll be easy to tweak or update styles without having to edit posts on your website. I think you really need this, so let’s dive into it! It’s the plugin TinyMCE Advanced that’s all you need to enhance your default WordPress Visual Editor to the extent possible. It’s actually not a single plugin with just a few specific features, it’s very powerful and contains 15 different plugins for TinyMCE that are automatically enabled or disabled depending on the buttons you have chosen for your WordPress Visual Editor. By default, this plugin contains some commonly used options like as keeping the paragraph tags in the Text editor, creating a table, importing the CSS classes from the theme’s editor-style.css, and more. You can also know more from TinyMCE WordPress Codex like Advanced Editing Buttons, TinyMCE Custom Buttons, etc. So, let’s install the plugin on your WordPress Website and set up required settings. To get the plugin installed on your WordPress site, first, go to the Plugin section of your WP Dashboard and click ‘Add New’. It’ll open the page for plugin installation, where you can do a search in the search bar to get the plugin instantly. So, do it and it’ll come out. Now, click the ‘Install’ button, it’ll take a moment to be installed. Then, click the ‘Activate’ button. Once it activated, you’ll find the new ‘TinyMCE Advanced’ under your WordPress Settings area. So, go there and click the button. As you can see, some of the buttons are already added to the editor menu by default, and some unused buttons are just bellow. To add a button, simply drag the button from the unused buttons and drop that in the toolbars above. By the same way, you can remove any button from the editor menu by dragging and dropping to the unused buttons section. It’s so easy! You can also see there some additional options, such as List Style Options, Context menu, Alternative Link Dialog and Font Sizes. If you scroll the page, you can also see some advanced options like keeping paragraph tags which helps to use more advanced coding in the Text editor without the back-end filtering affecting it much. The last section of this editor settings is Administrator, where you can export or import settings. Like, if you have a backup of this plugin or if you want to use current settings on other WordPress sites, then you can easily do that. You can also select the location where you want to add this enhancements menu. After all the setup if you go now to the editing mode of any post, you can see all the buttons that you’ve selected. So, these are the basic of TinyMCE Advanced to enhance your WordPress Visual Editor. So, do it by your way and boost your editing. Hope, you’ve already replaced your default WordPress editor with TinyMCE Advanced editor. You may sure about one thing that this advanced editor will completely change your experience about WordPress Visual Editing. Anyway, if you found this article helpful, share it with your friends and subscribe for getting notified about any update instantly. You also most welcome to share your potential thought with us about WordPress Editor enhancement. Thank you, Jo. I am glad you enjoyed the article.